Compositore e filmaker pluri-premiato, Richard Lainhart è un artigiano digitale che lavora con dati sonori e visuali. Sviluppa fin dall'infanzia un vivo interesse per i fenomeni naturali - onde, fiamme e nuvole - e per l'interazione creativa con le macchine. Alla fine degli anni '60 studia composizione e musica elettronica alla State University di New York, con Joel Chadable. Compone quindi musica per cinema, televisione, applicazioni interattive e web. Pubblica per Periodic Music, Vacant Lot, XI Records, Airglow Music, Tobira Records, Field Studies, Infrequency, VICMOD, ExOvo. Dal 1970 a oggi ha composto 150 lavori di musica elettronica ed è comparso sul palco come performer in oltre 2000 occasioni negli Stati Uniti, Europa, Australia e Giappone, collaborando tra gli altri con John Cage, David Tudor, Steve Reich, Phill Nibloch. Lainhart è autore di animazioni e cortometraggi, tra i quali A Haiku Setting vincitore di parecchi premi all'International Festival of Cinema and Technology di Toronto, e No Other Time, complessa opera multimediale progettata per spazi di riverbero di grandi dimensioni. Lainhart è considerato un maestro di prima grandezza nella cultura del sintetizzatore. Figura pionieristica, riflette una certa tradizione statunitense novecentesca caratterizzata da componenti epiche, con una base tonale dispiegata in larghe campiture capaci di raccordare tonalità, droni e frammenti melodici manipolati per intessere un magnifico tessuto di suoni. Richard Lainhart is an award-winning composer, author, and filmmaker - a digital artisan who works with sonic and visual data. Since childhood, he's been interested in natural processes such as waves, flames and clouds, in harmonics and harmony, and in creative interactions with machines, using them as compositional methods to present sounds and images that are as beautiful as he can make them. In the late '60s Lainhart studied composition and electronic music with Joel Chadabe at the State University of New York at Albany. 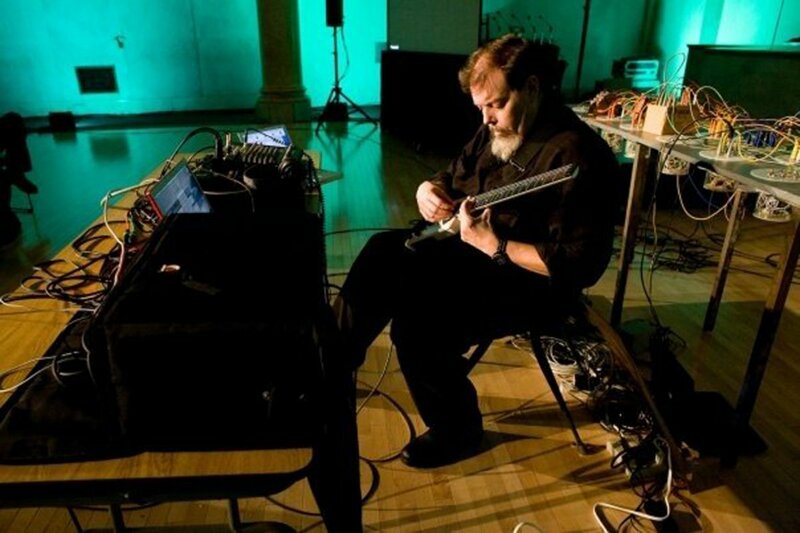 He has composed music for film, television, CD-ROMs, interactive applications, and the Web. His compositions have been performed in the US, England, Sweden, Germany, Australia, and Japan. Recordings of his music have appeared on the Periodic Music, Vacant Lot, XI Records, Airglow Music, Tobira Records, Field Studies, Infrequency, VICMOD, and ExOvo labels. As an active performer, Lainhart has appeared in public approximately 2000 times. Besides performing his own work, he has worked and performed with John Cage, David Tudor, Steve Reich, Phill Niblock, among many others. He has composed over 150 electronic and acoustic works.Lainhart's animations and short films have been shown at many international festivals. His film A Haiku Setting won awards in several categories at the 2002 International Festival of Cinema and Technology in Toronto. In 2009, he was awarded a Film & Media grant by the New York State Council on the Arts for No Other Time, an intermedia performance designed for a large reverberant space. Pioneer of the synth culture, Lainhart crafts sounds in a tonal, musical fashion - sustained tones, drones, melodic fragments - and electronically manipulates them into beautiful tapestries of sound. His music reflects the spirit of possibility that once defined electronic music, bringing with it a sense that transcends time, technology and cultural assumptions.